Old home movies let me begin at the start. Strange sentence I know. You have been in the loft to have a clear out. Maybe a relative has passed on? Or perhaps you have had some old home movies laying around for years and decided to have them converted. One of the first things to sort out with your old home movies, is to identify what film format they are. Old home movies come is different sizes. 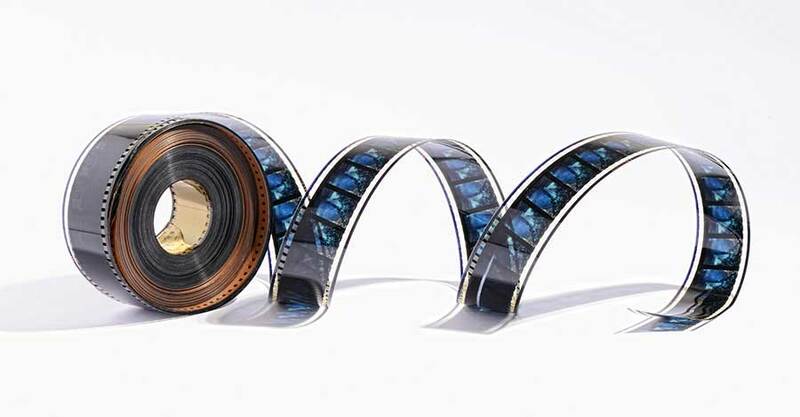 The most common sizes are 16mm cine film and 8mm cine film. 8mm film comes in 2 formats. The first is Standard 8 (or in the USA its know as regular 8). The second is super 8 cine film. Standard 8 film is 8mm film with sprocket holes which are square with rounded corners. Super 8 film has a larger frame size and the sprocket holes are like slits. 16mm film comes with and without sound. The silent version of 16mm film has sprockets holes on both sides of the film. Sound 16mm film has sprockets holes on one side and the sound track on the other. 16mm sound can have a magnetic or an optical sound stripe. 16mm sound film was shot at 24 frames per second. This film is one of the first small gauge formats to be produced. It is very easy to recognise. It has its sprocket holes in the centre of the film. If all of this information seems bewildering don’t worry. Just give us a ring or email us and we will help you find out which film format you have. Whichever film format you have we can transfer it to HD video or DVD. Old movies are a wonderful memory of your family’s past. Let us preserve them in the digital domain.